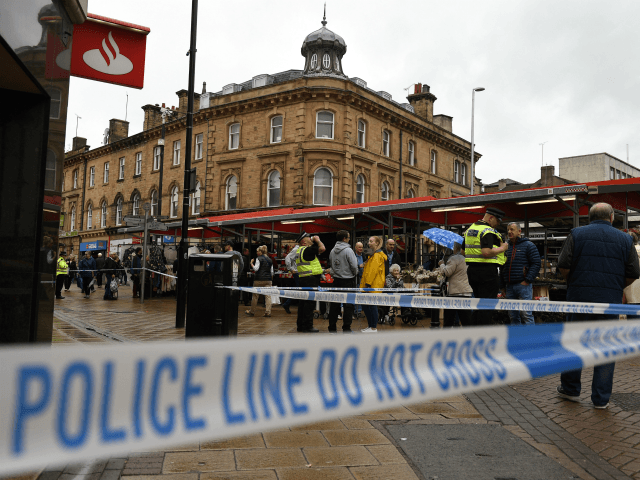 LONDON (AP) – British police say a man suffered minor injuries when a woman wielding a foot-long (30 centimetres) knife chased passers-by through a northern England town centre. The South Yorkshire Police force said a woman was in custody after Saturday’s incident in Barnsley, 150 miles (245 kilometres) north of London. The force says counter-terrorism detectives are supporting the investigation as police seek a motive. Witnesses say a woman in a headscarf chased pedestrians around the area and shouted threats to kill while market traders were setting up for the day. Trader Abdul Razzaq says he followed her to the town train station and identified her to police. The woman was arrested and police say they recovered a kitchen knife.